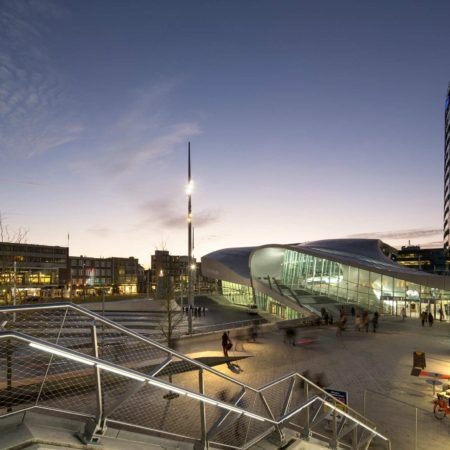 Utrecht is the fourth-largest and fastest-growing city in the Netherlands. 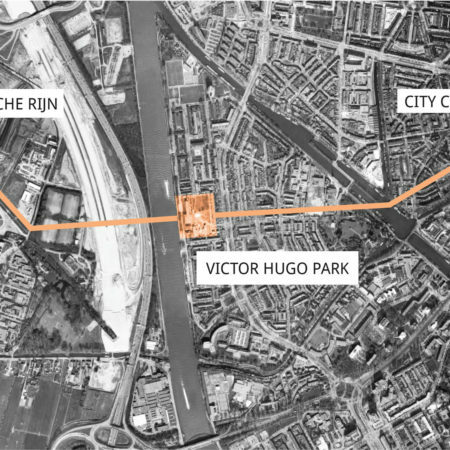 The most important development location for the city is Leidsche Rijn, but it is separated from the historic city centre by the Amsterdam-Rhine Canal. 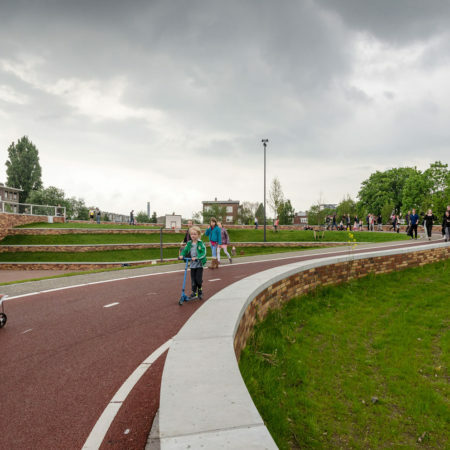 To make this new area attractive to current and future inhabitants, a fast and safe connection over the canal was needed. 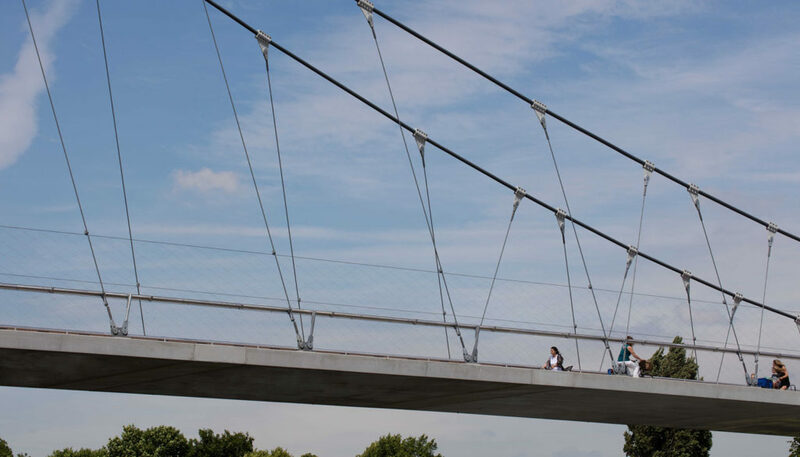 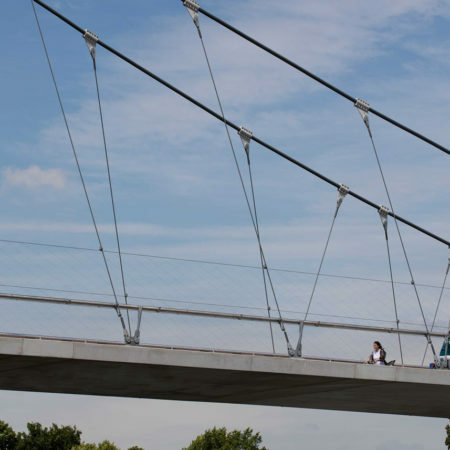 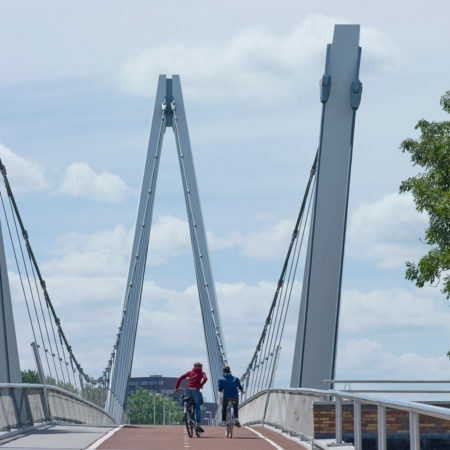 In 2013, to meet the city’s ambitions as a leader in sustainable urban mobility, the municipality agreed upon the construction of the bicycle bridge. 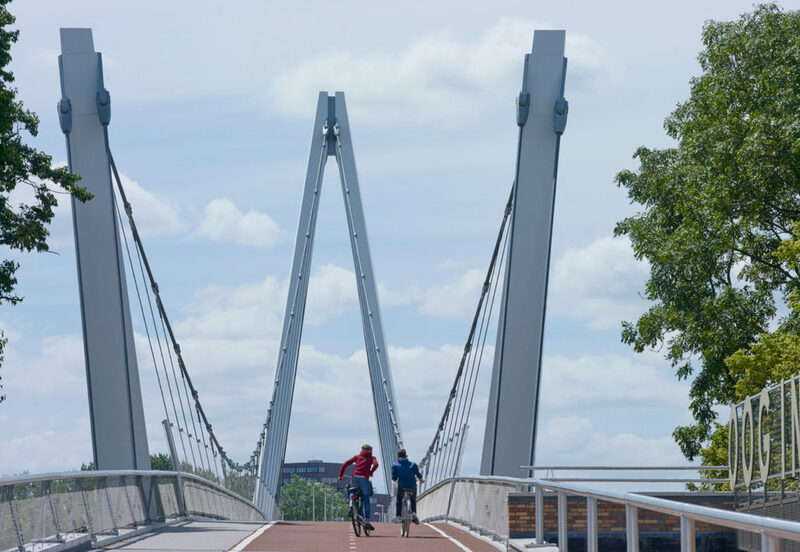 The work is a key project within the new, fast bicycle route to connect the city. 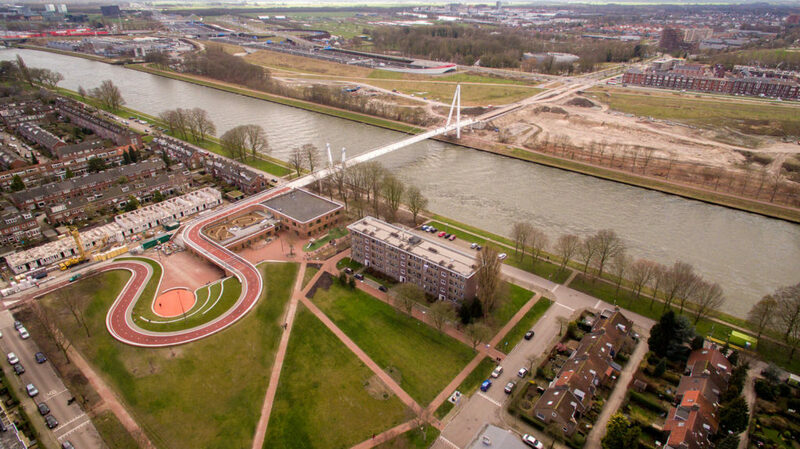 The chosen location held notable challenges: on the city-centre side the bridge would land in the densely build neighborhood of Oog in Al, on the exact spot where two elementary schools were standing. 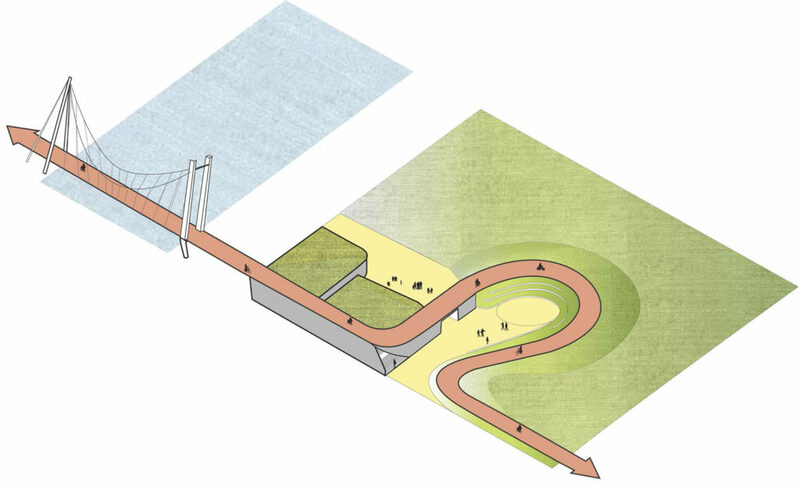 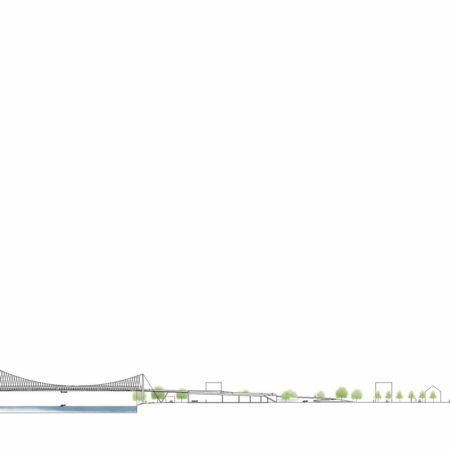 The creation of space for the construction of the new bridge offers the opportunity to reorganize the existing fragmented structures in order to reconnect their functions with the urban context and its residents. 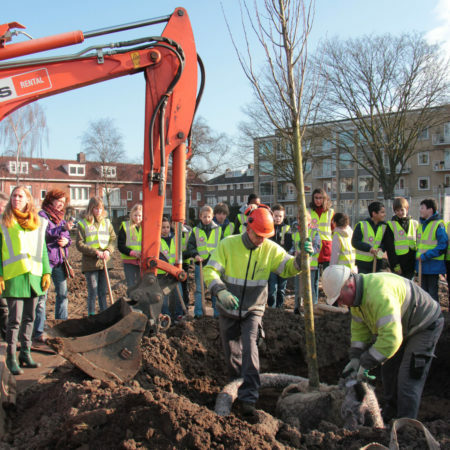 Therefore also a participation process with the neighborhood took place during the project. 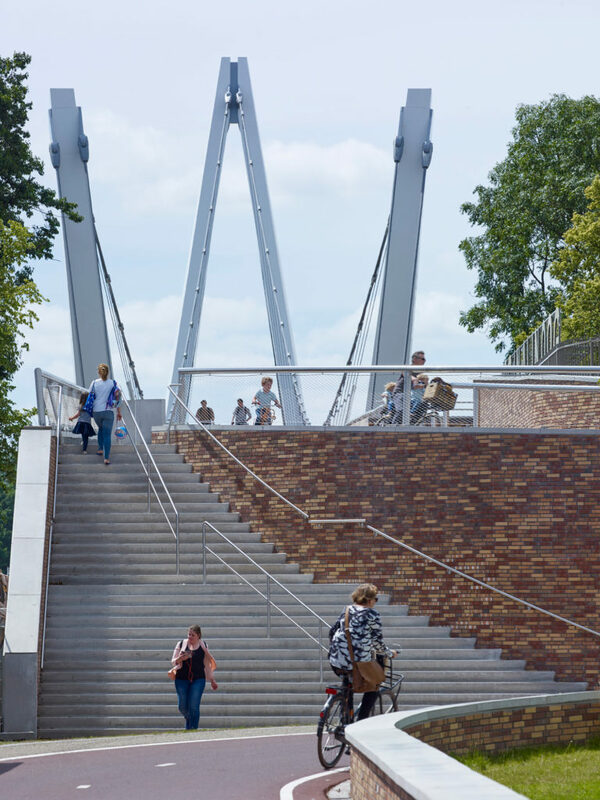 From the park up to the bridge a height difference of 7 meters has to be bridged in a small range of space to make an easy passing possible and prevent open space wasting constructions. 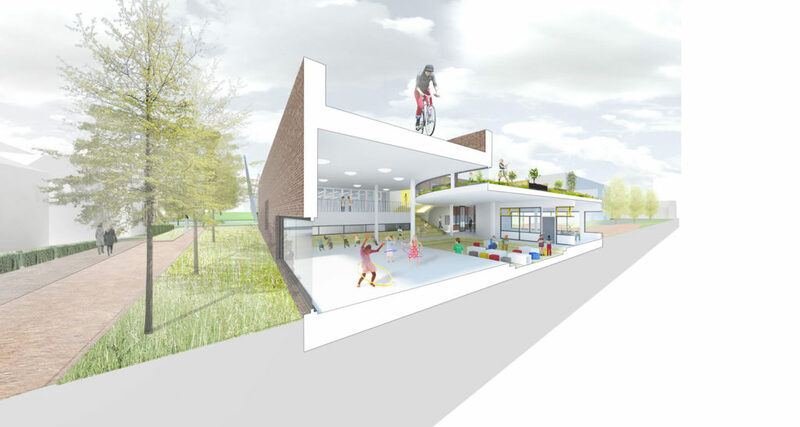 A minimum of space has to be transformed into a multifunctional space with a maximum of facilities – the new school, the schoolyard and the gym. 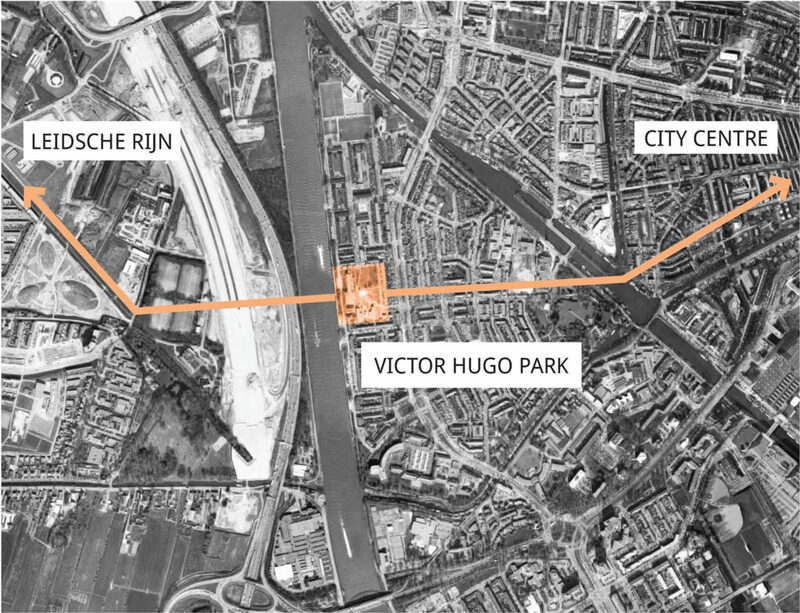 At the same time, the existing Victor Hugo Park with its old tree structures had to be saved as far as possible and reorganized in a functional and poetic way. 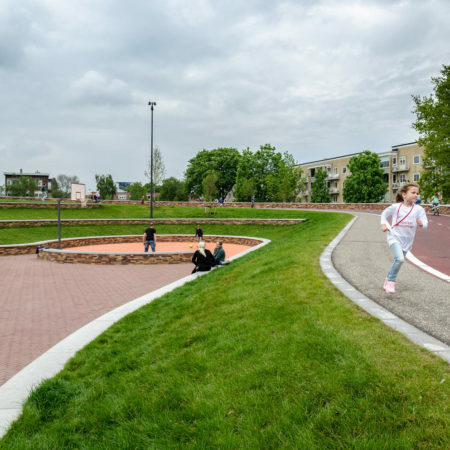 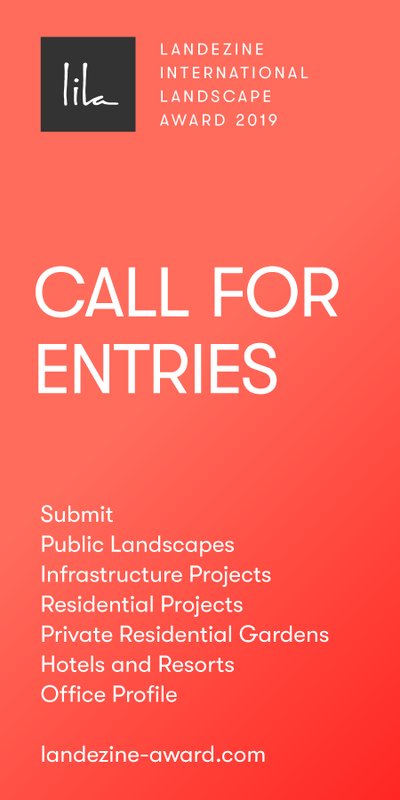 Serving as a new vibrant green public space in the area of the school, as well as being a place of arrival, which guides the cyclists and pedestrians, coming from the bridge, intuitively through the open space into the city center. 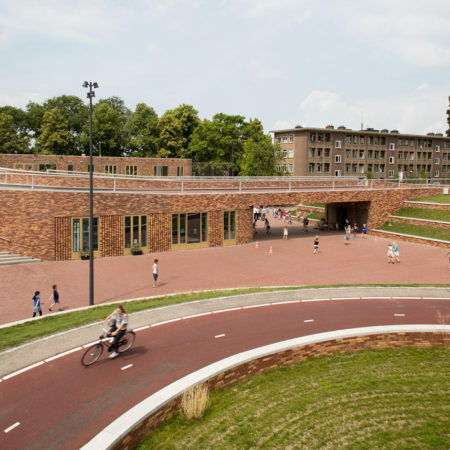 Within the new design, the new bridge, the building of the school and the Victor Hugo Park are realized as a coherent unity. 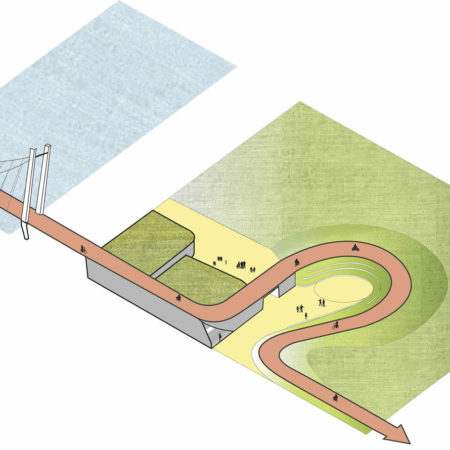 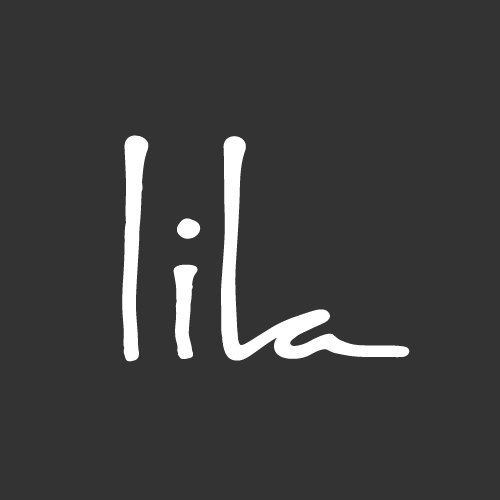 In the design process all elements are interpreted as an unique part of an integral design, which reach into each other like a coherent puzzle. 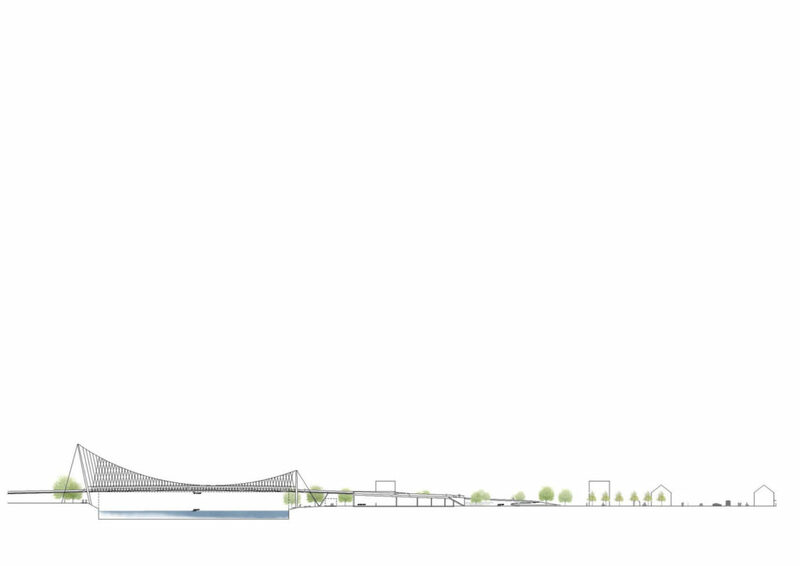 The bridge which rises up to 7 meters makes it possible to fit the school underneath the bridge-construction. 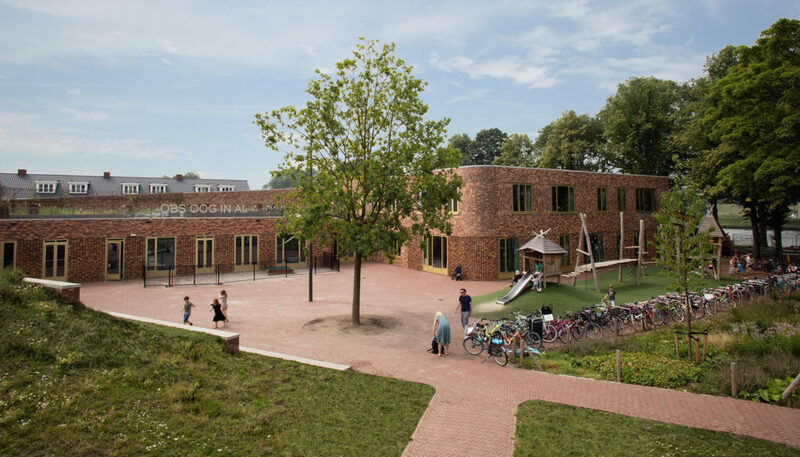 Because the bridge builds the roof of the school, every side of the school-building is surrounded by light and space, preventing one side facing blind walls. 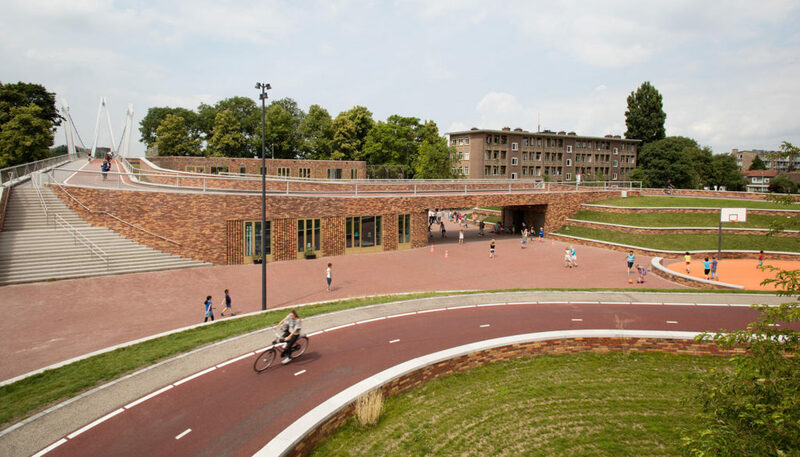 A wide loop lifts the biker or pedestrian from the park entrance onto the roof of the gym. 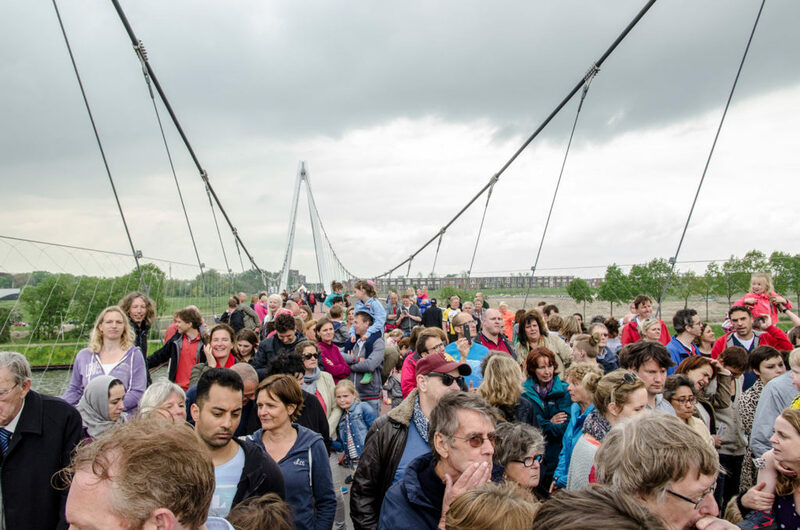 From there the journey continues through the treetops to a panoramic view over the canal. 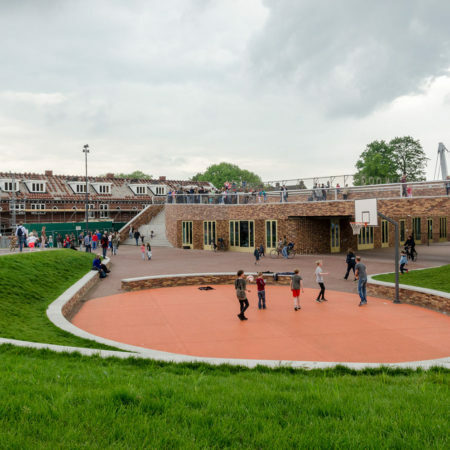 The volume of the school building creates a safe and enclosed playground for children, which is oriented towards the park. 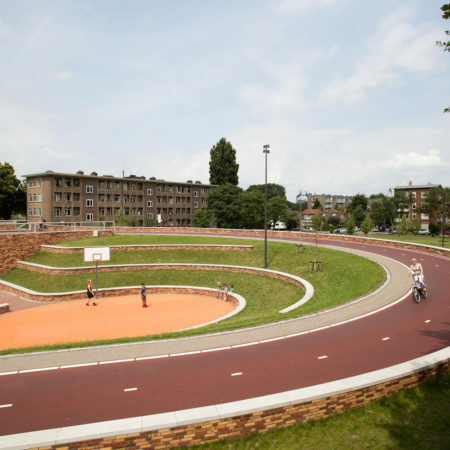 This creates a bowl shaped area surrounding a sunny sport court. 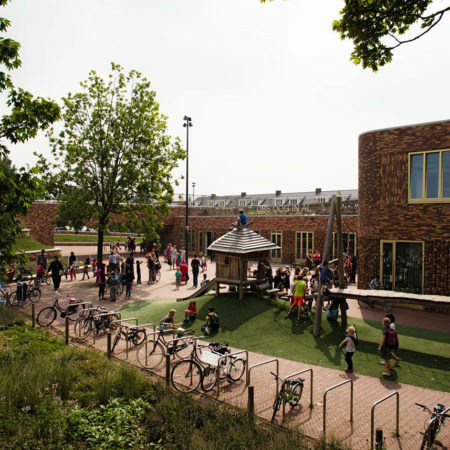 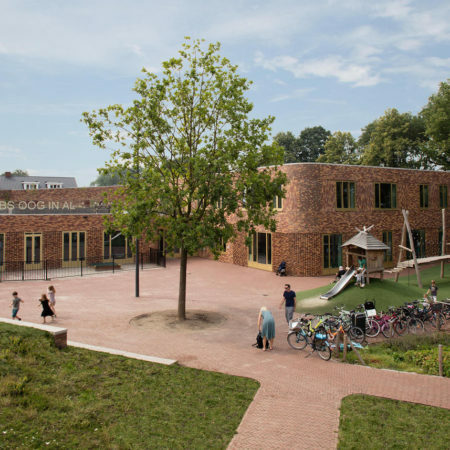 In this way the bowl becomes a distinctive part of the entire complex as an integrated structure of the school building and a connection with the Victor Hugo Park. 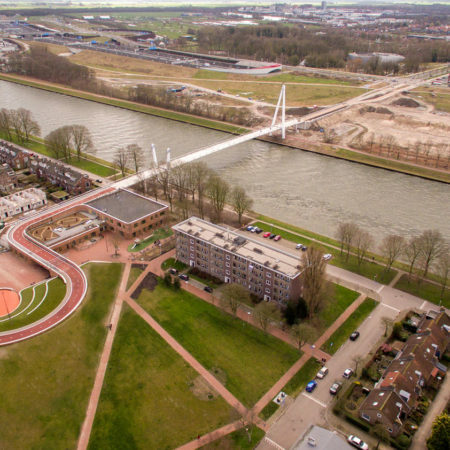 By integrating the loop into the park structures, almost the whole park and most of the old trees could be spared and at the same time become reorganized as a connecting link between the bridge, the school and the inner city. 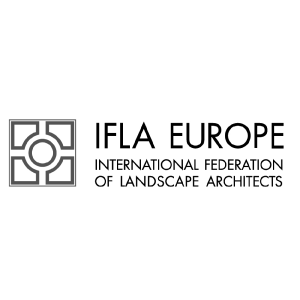 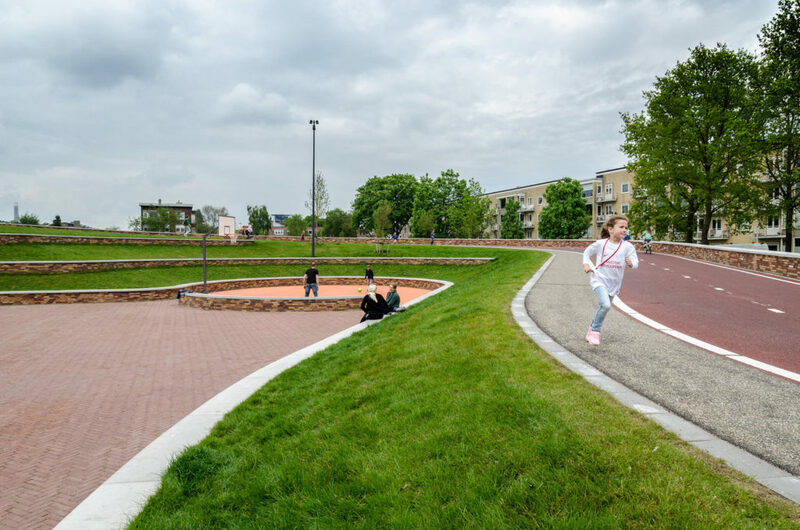 To reorganize the whole area with the new and existing elements into a coherent unit which integrates seamlessly into the urban context demanded an intense cooperation between the architect, the bridge designer and the landscape architect. 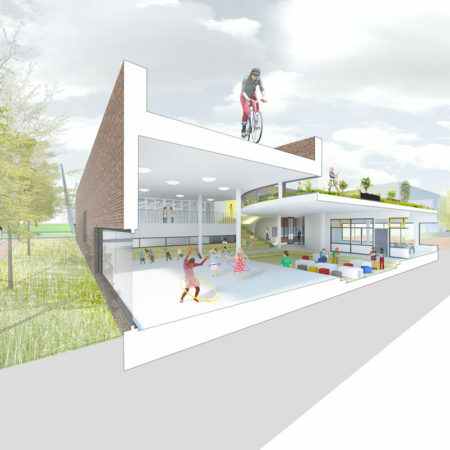 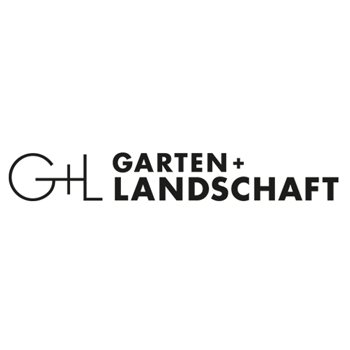 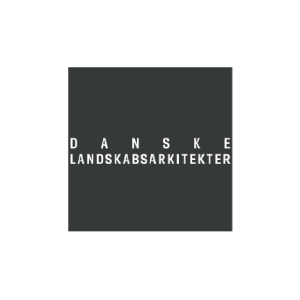 The concept consists of a collective process in which all elements were planned parallel in a continuous and collective reflection of all partners in order to create a place which will be used and experienced as a whole. 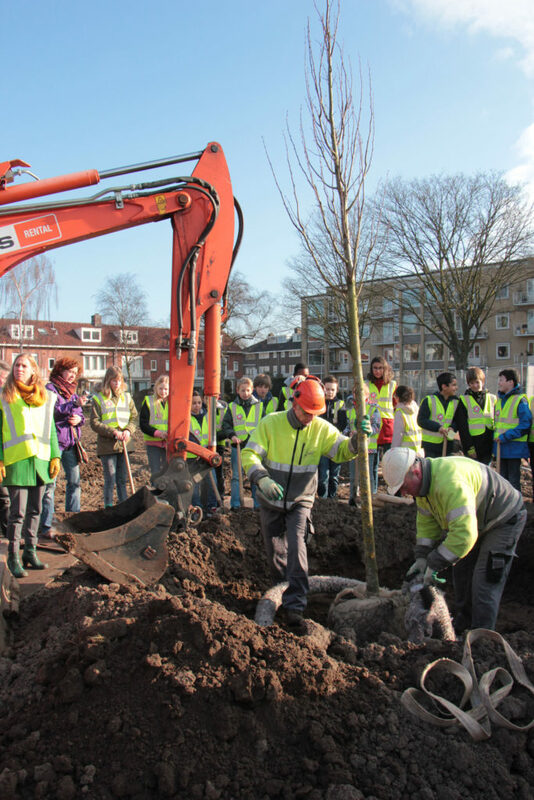 Therefore the programme was also fine-tuned through workshops with the residents. 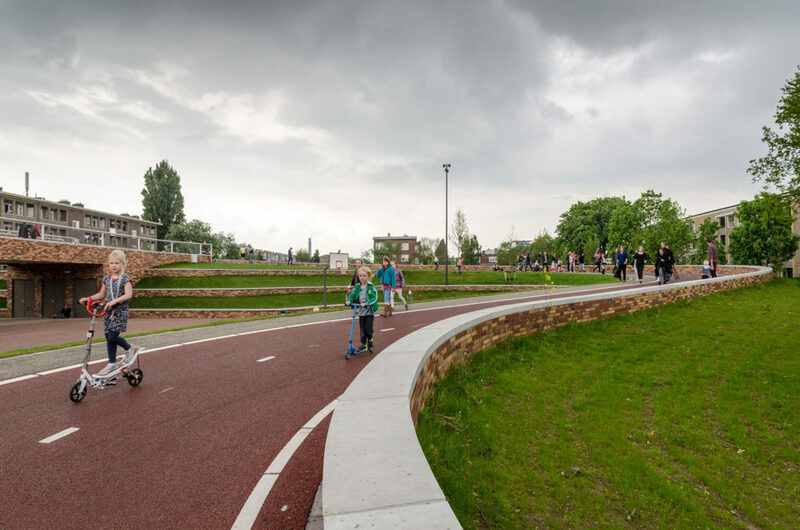 In this way the coherent design elements overtake a multilayered function within the city structure of Utrecht. 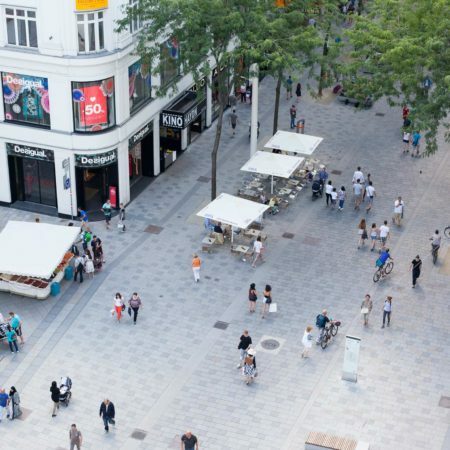 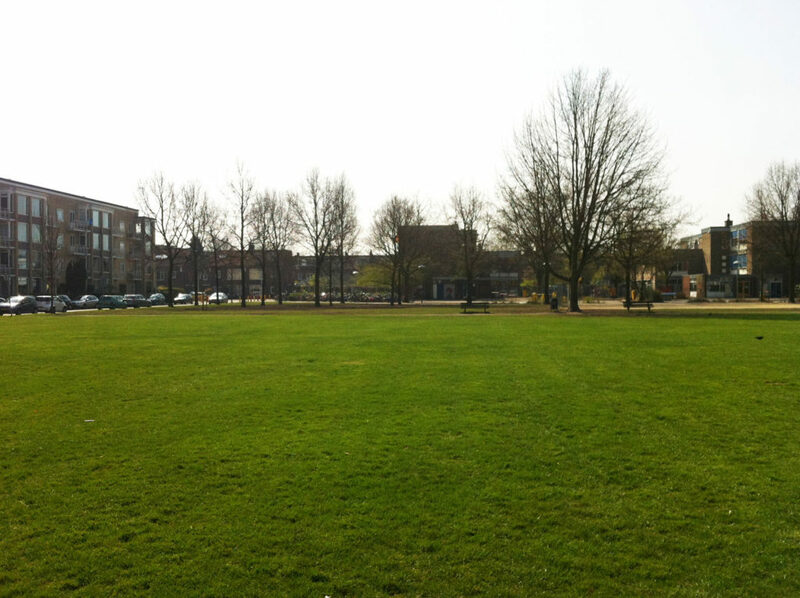 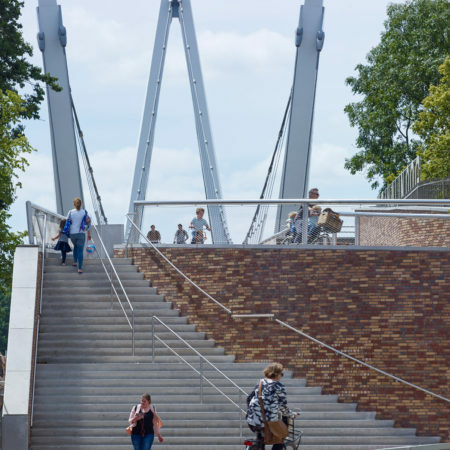 Firstly it serves as a renowned stepping stone for the major amount of pedestrians and cyclists between the city center and the outer parts as well as the new town Leidsche Rijn. 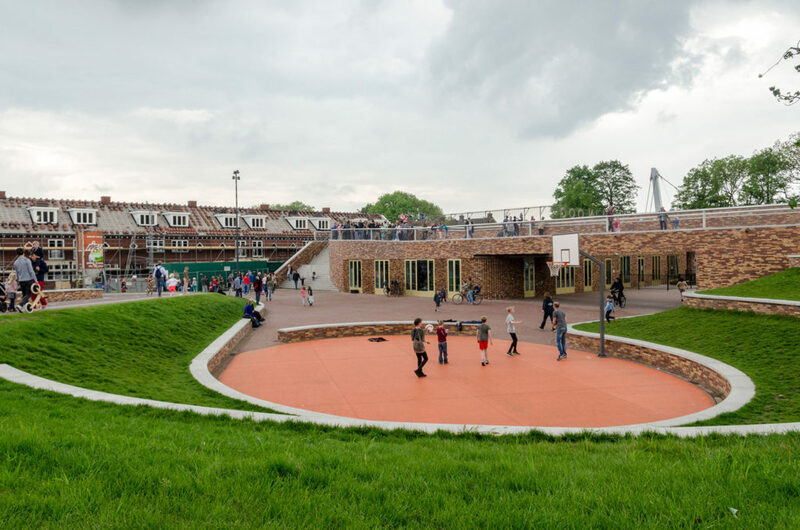 Secondly the area itself develops a poetic character as a new hub of public space where all generations come together in their usage of the park, the bridge and the school. 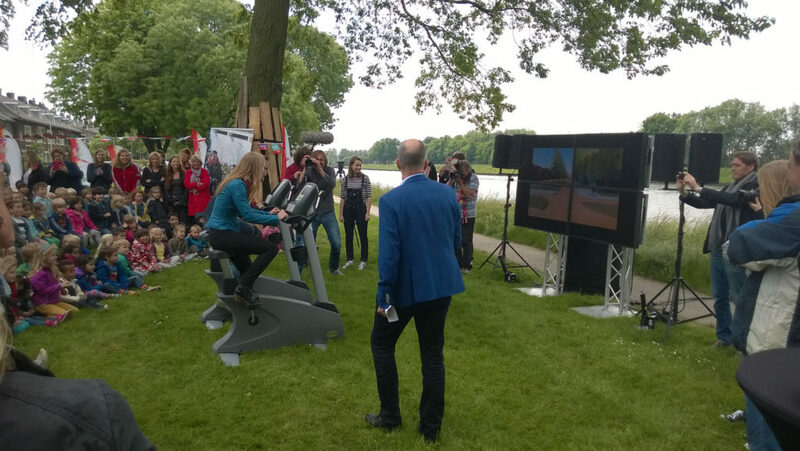 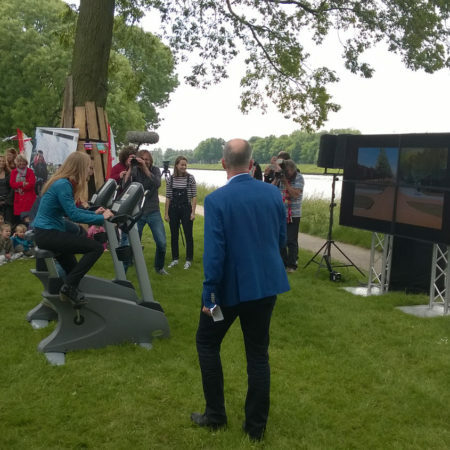 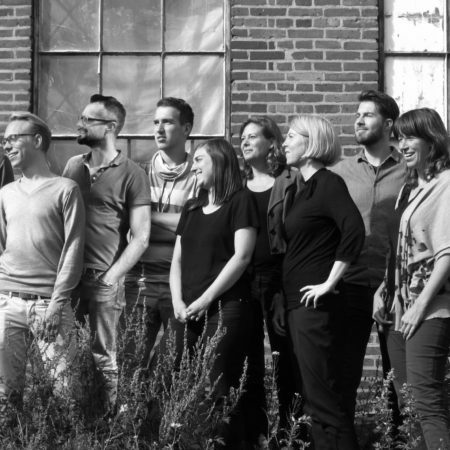 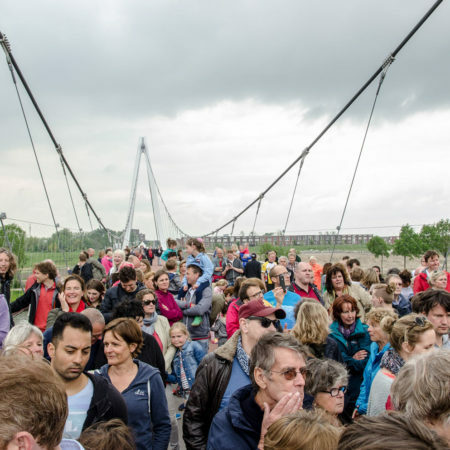 Newly initiated community and sport activities, like the Utrecht Bridge Run or a public breakfast for inhabitants of Oog in Al and Leidsche Rijn to meet, take place here. 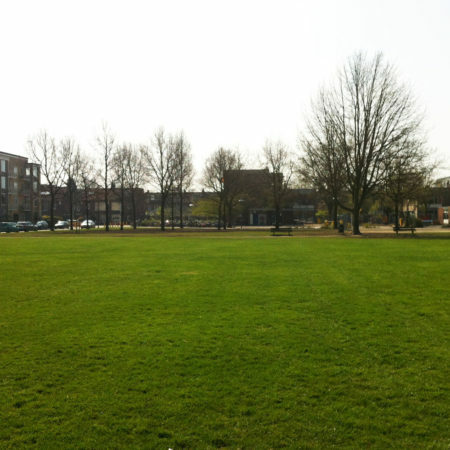 The new housing structures which has been build up next to the bridge and the Victor Hugo Park support this development. 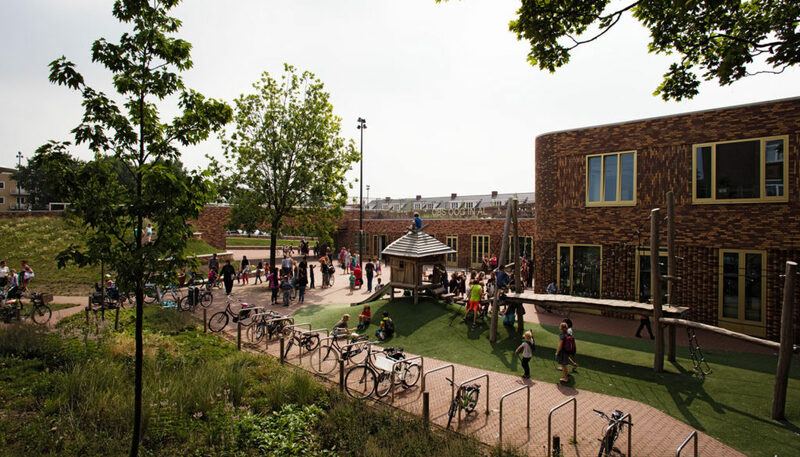 A forgotten piece of land has been transformed into a new place full of public life. 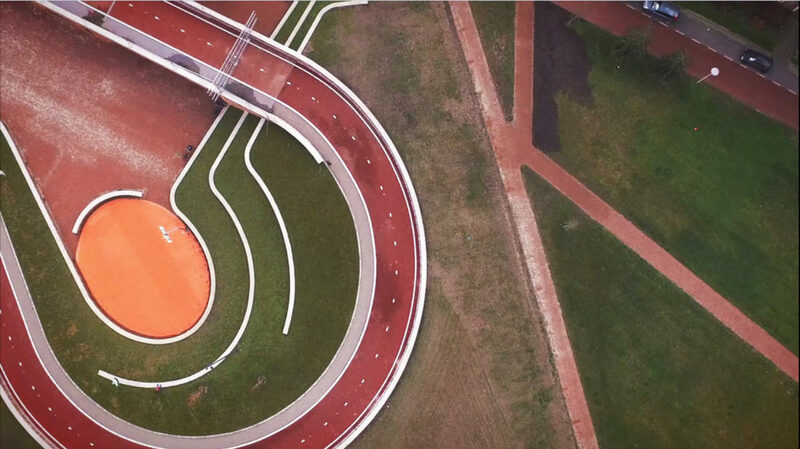 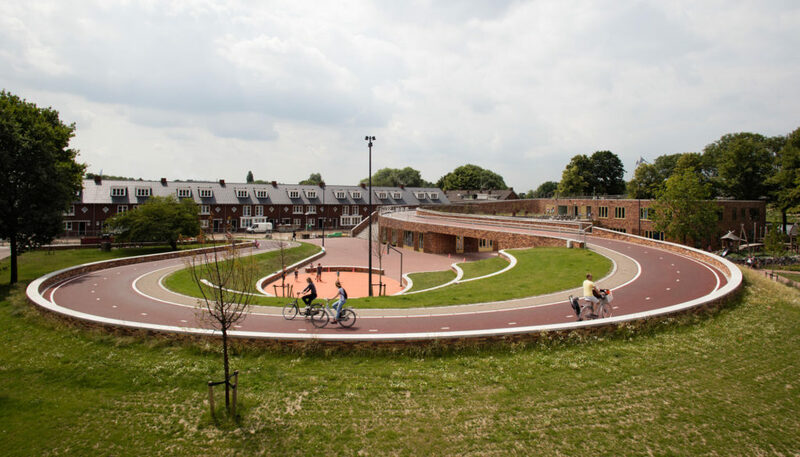 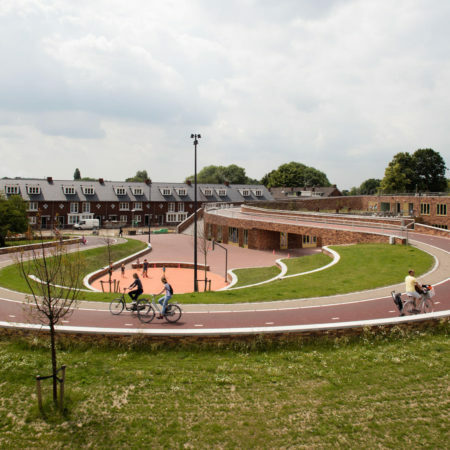 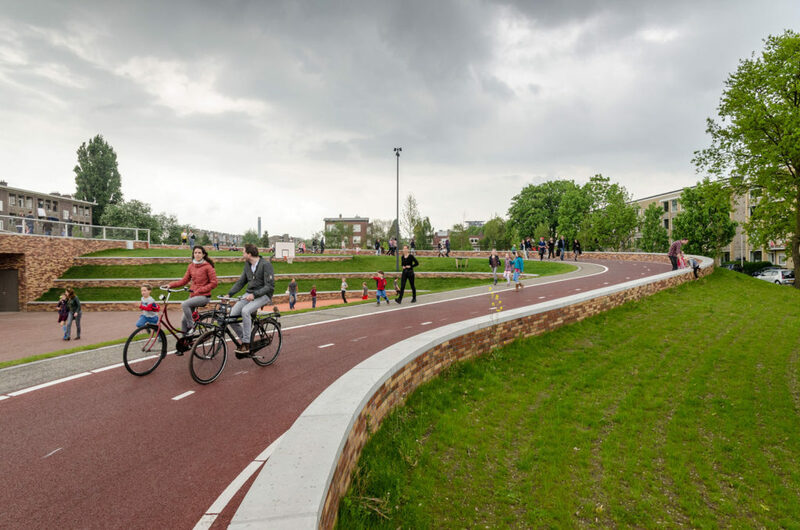 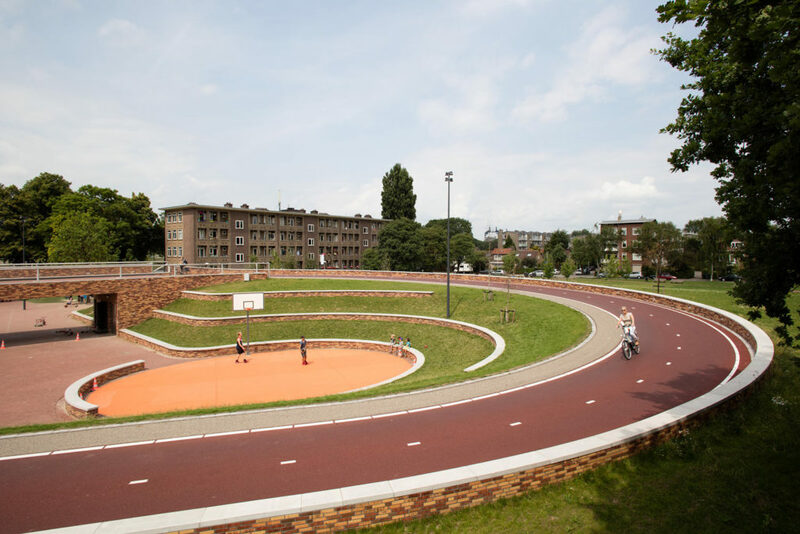 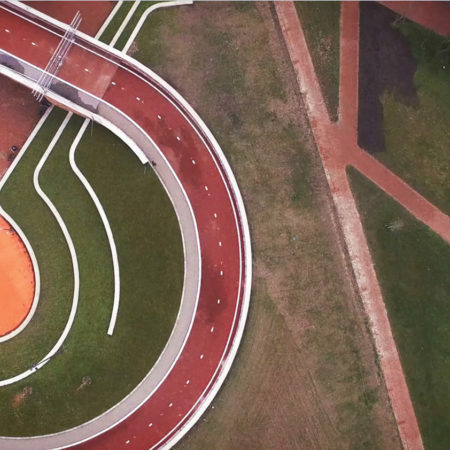 The Victor-Hugo Park and the bridge have internationally been embraced as a best practice of the Dutch approach to the seamless integration of cycling infrastructure into the urban fabric, while contributing to social cohesion. 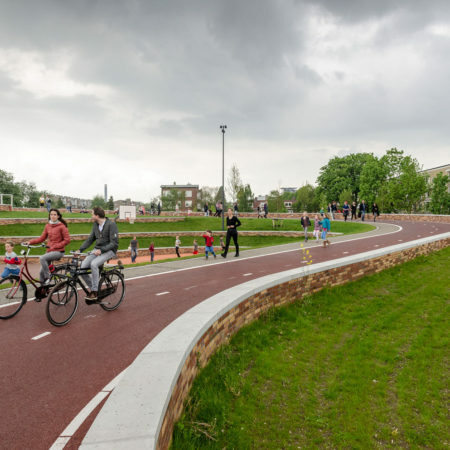 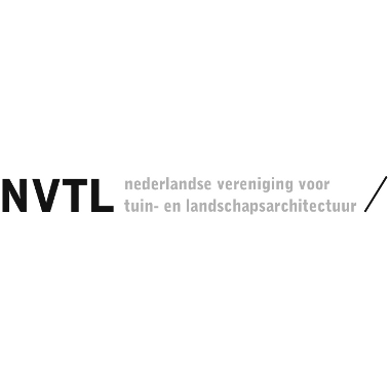 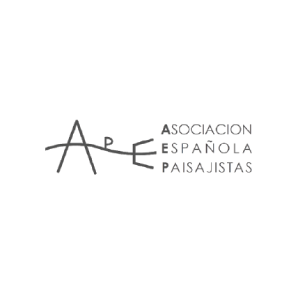 Municipalities, the Netherlands Foreign Investment Agency and Dutch embassies worldwide use the project as a case study. 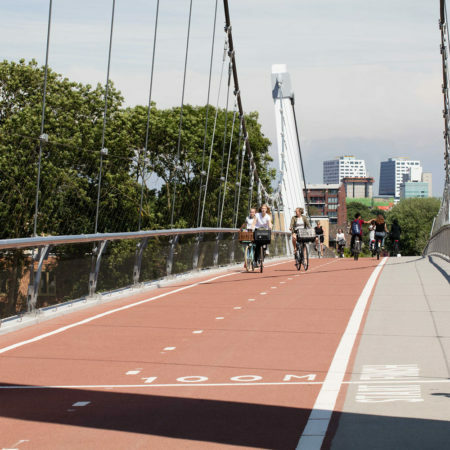 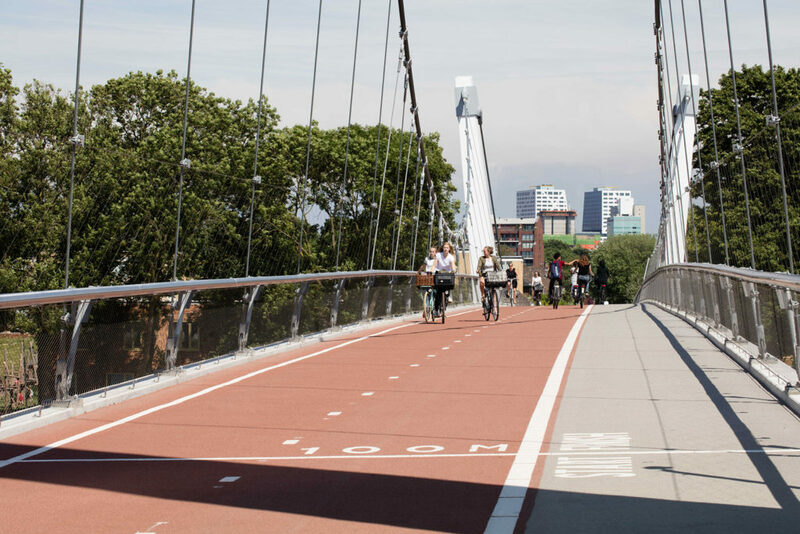 In September 2017 the New York Times featured the Dafne Schippers bridge in an article praising the city of Utrecht’s successful approach to the promotion of cycling (New York Times, 06 Sept 2017: “If you build it, the Dutch Will Pedal”).